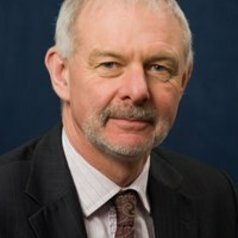 Prior to becoming Vice Chancellor of the University of Cumbria Peter Strike was Deputy Vice Chancellor (Research, Knowledge Exchange and Business Engagement) at the University of Sunderland. Following a highly successful career in research and teaching at the University of Liverpool, he became Vice Principal (Research and Knowledge Transfer) at Edinburgh Napier University, and then Deputy Vice Chancellor (Research and Enterprise) at the University of Northumbria in Newcastle. Peter was awarded a BSc (Hons) in Biochemistry from the University of Sussex and a PhD in Biochemistry from the University of Newcastle upon Tyne. Peter has over 28 years of research and teaching experience at the University of Liverpool, contributing to a wide range of programmes at first and second year undergraduate, honours and masters levels in genetics, microbiology and biochemistry. He held a personal chair in Genetics and Microbiology at Liverpool, and was director of teaching for the School of Life Sciences. In support of his research interests in DNA repair and mutation, he has held fellowships and awards from the Royal Society, Wellcome Trust, Nuffield Foundation, EMBO and WHO as well as grants from BBSRC, MRC and NERC. He lists over 70 peer reviewed publications in addition to book chapters and conference contributions. He considers one of his major achievements to be the 47 PhD students he has supervised through to the successful completion of their studies. He is a trustee of Tullie House Museum in Carlisle, as well as sitting on the boards of the Lake District Partnership, the Cumbria Local Enterprise Partnership (LEP), the LEP’s Employment and Skills Commission and the Cumbria Local Nature Partnership. Peter was born and raised in Barrow in Furness and attended Barrow in Furness Grammar School for Boys. Peter’s interests include hill and mountain walking, long-distance walking and sailing. He is an RYA Yachtmaster Offshore and an RYA-approved teacher. He also served for 17 years with the Royal Navy Reserve as senior training officer with the Liverpool Universities’ Royal Navy Unit. He supports Newcastle United.